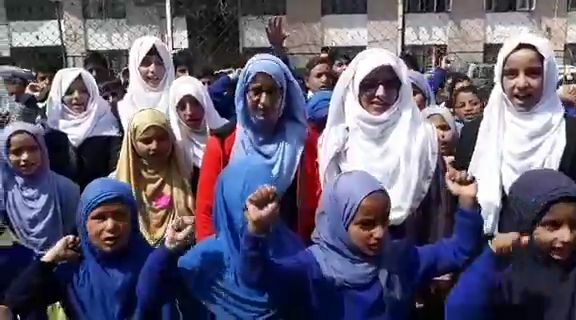 Alleging staff shortage in the school, Students of Govt Middle School Frislan Pahalgam and their parents today protested at DC office Anantnag against the education department. According to the students and parents, the school has only three teachers for around 200 students. They said that on one side the govt is saying that they are strengthening the education department for the better future of the children, but on the other side, this is what is happening on the ground. The school children were raising slogans against education department and the concerned ZEO, demanding an immediate solution to their problem.